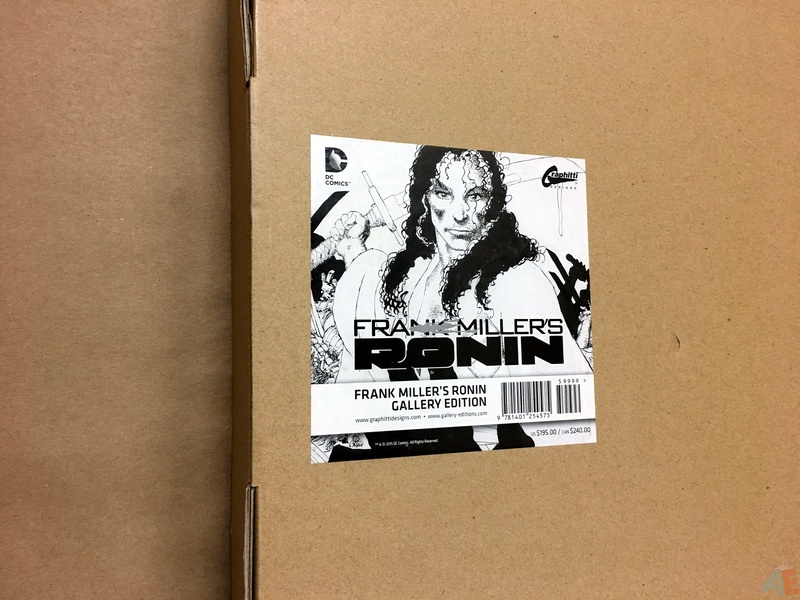 Graphitti Designs proudly presents FRANK MILLER’S RONIN GALLERY EDITION, featuring the story and art by Frank Miller that forever changed the world of graphic storytelling. 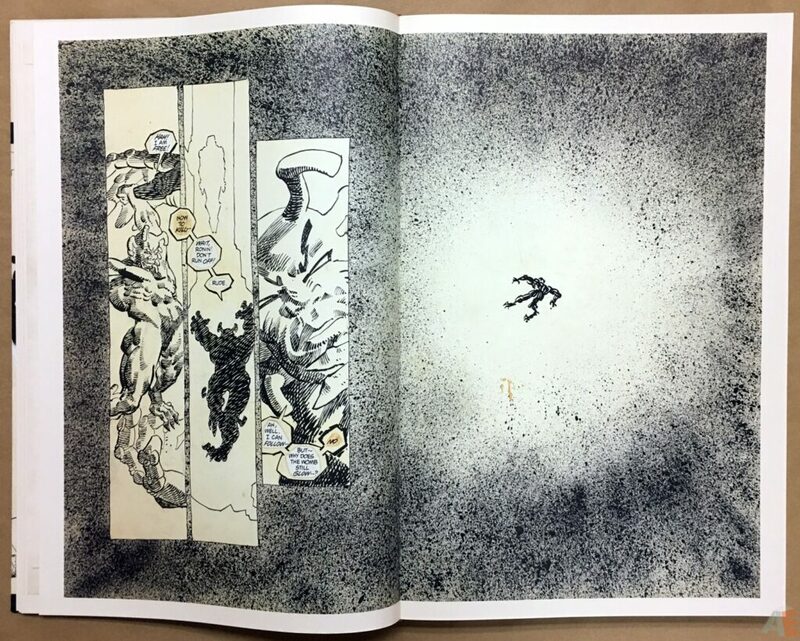 Miller’s evolutionary stepping-stone between Daredevil and BATMAN: THE DARK KNIGHT RETURNS comes alive in this oversize format that it so richly deserves. 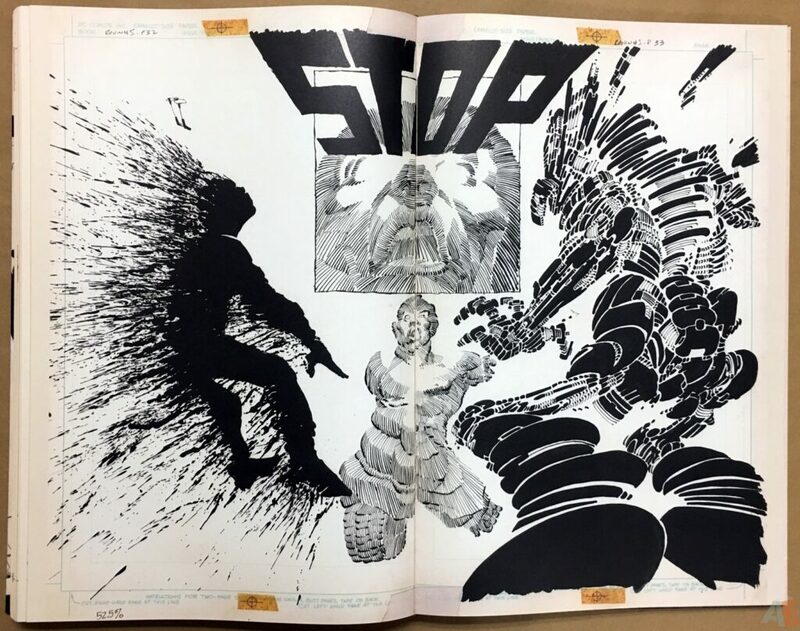 This is the content that the Gallery Edition format was made for. Thirty years later, Frank Miller’s Ronin Gallery Edition delivers, completely, in this amazing new book from Graphitti Designs. This is Frank Miller at a point in his career when he was given carte blanche by DC and he chose to do Ronin: write, pencil, ink. 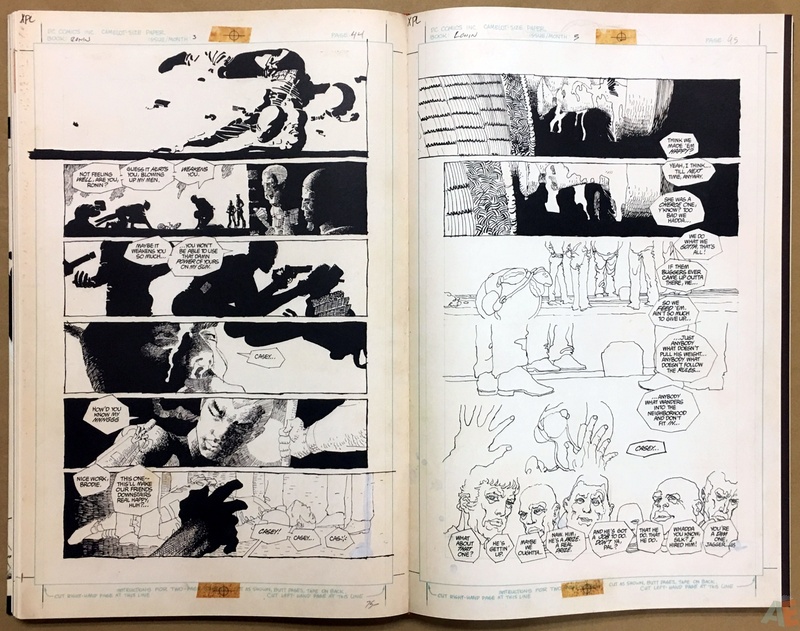 His art style was evolving, moving past his run on Daredevil but not at the heavy square lines of The Dark Knight Returns. 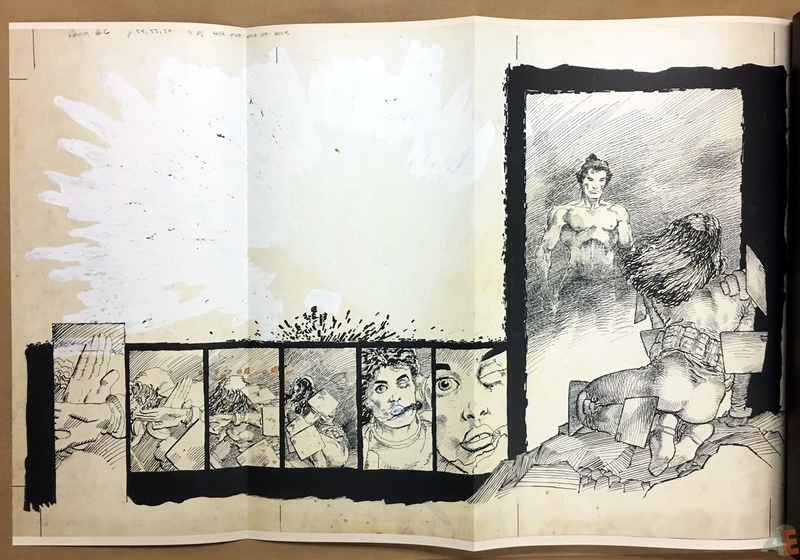 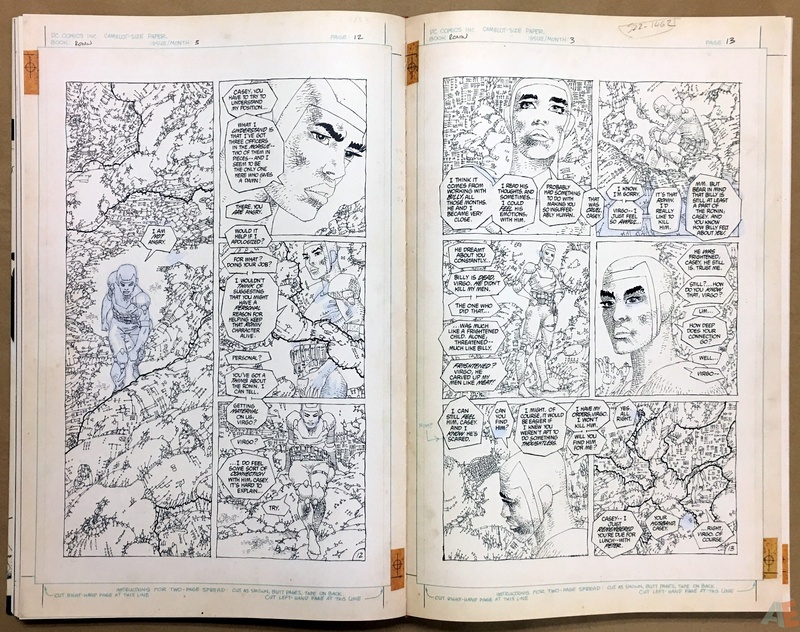 According to the notes provided the first two issues of the series were done at 12 x 17 inches and the rest at 13 x 20 inches. 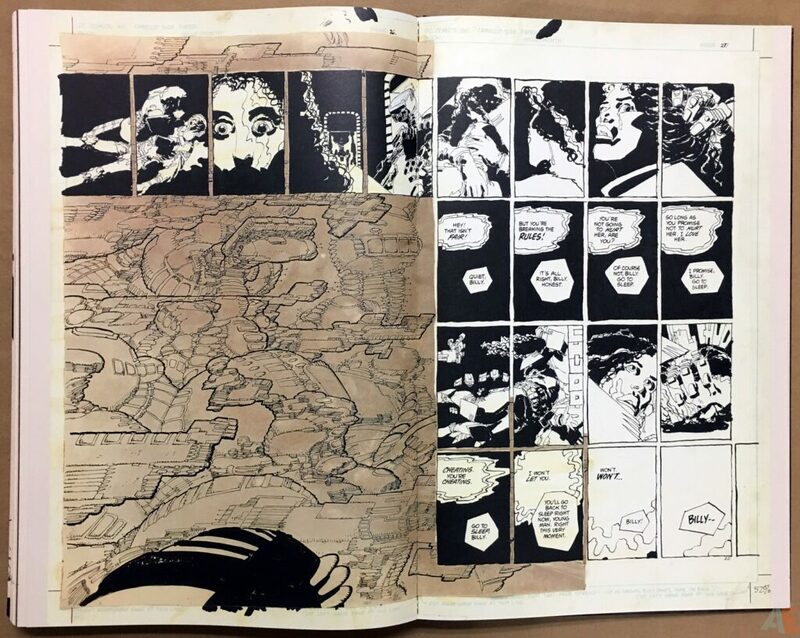 As such the book moves from a larger border around the pages to no border, but it wasn’t a detail I noticed under after I’d read the book and poured over the small details. 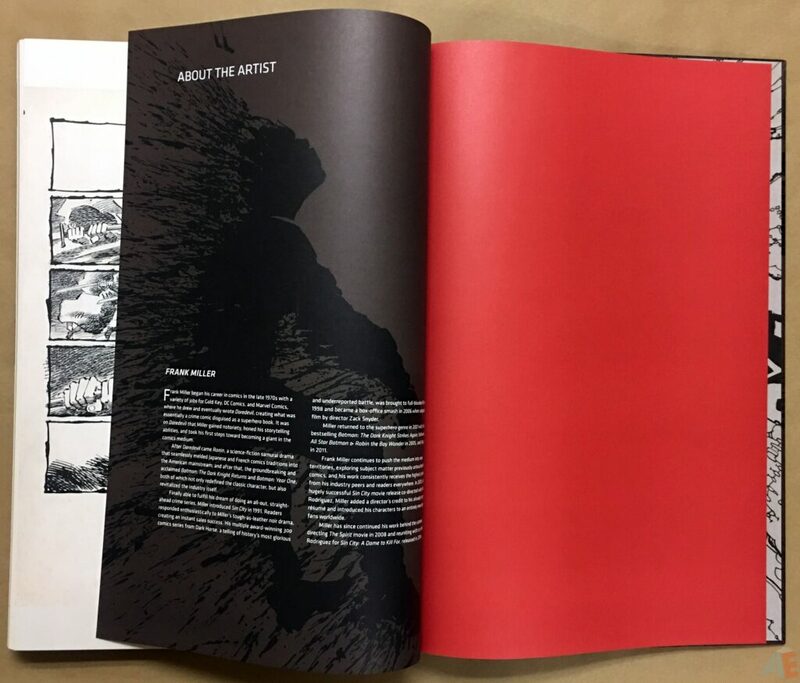 The largest in page count and sheer weight and size of any art edition book, it’s a stunning work. 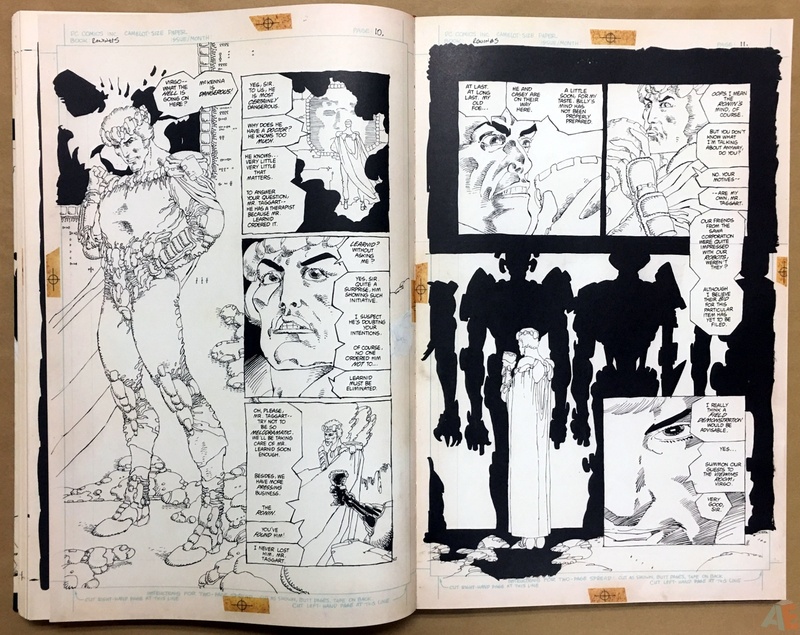 All but nine of the pages are scans of the original art, and of those three are covers. 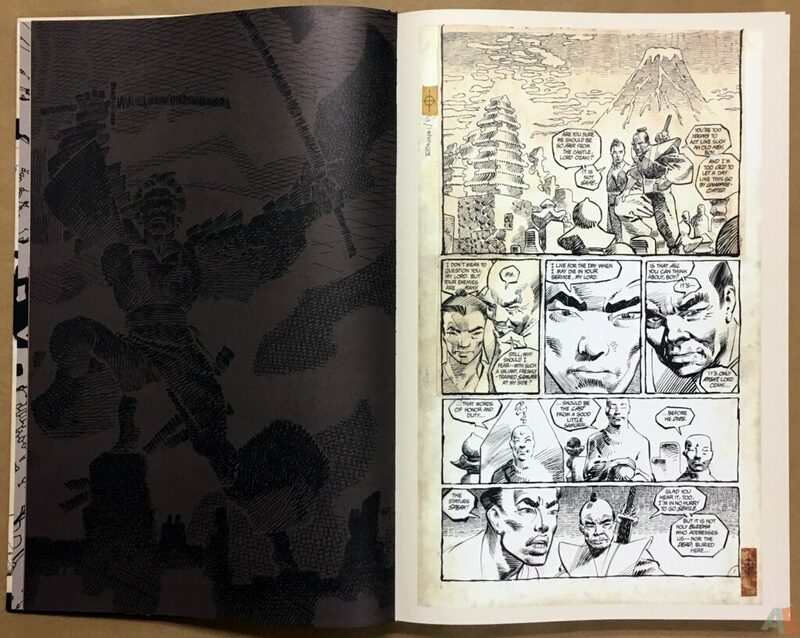 Scan quality is excellent: clear, clean and highly detailed. 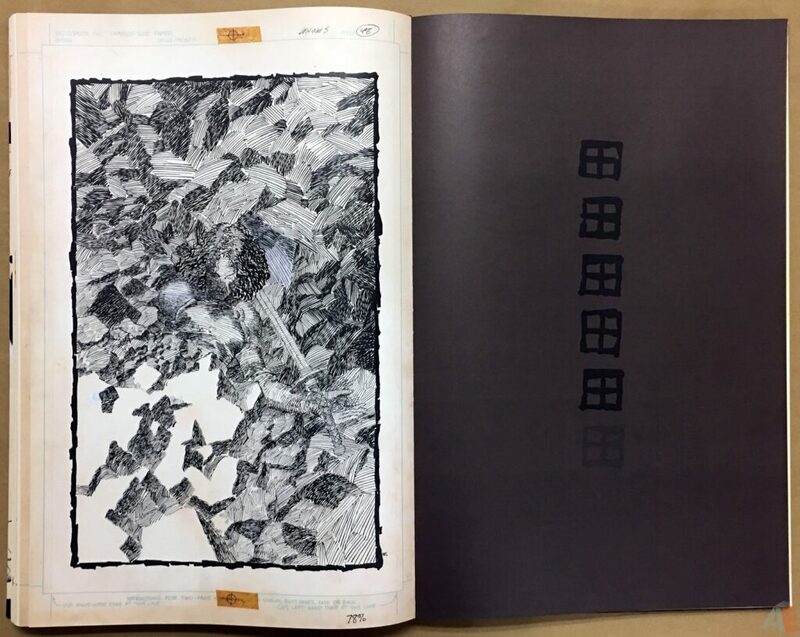 The bulk of the blacks are uniform but there are variations in the pages with large patches of solid black, which are few and far between because of Miller’s heavy use of cross hatching. 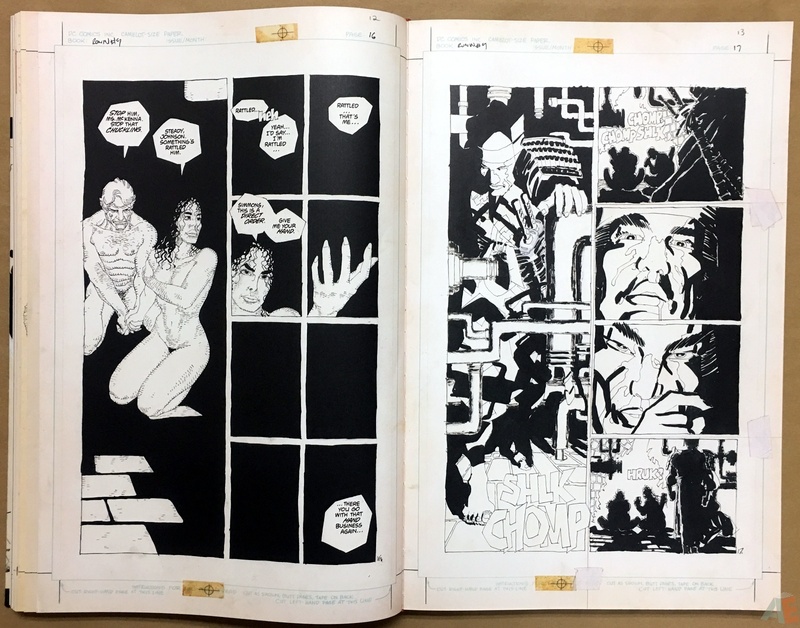 The bulk of the pages come directly from Miller; the only pages sold that I could find were all from issue one and comprise the samples at the end of the article. 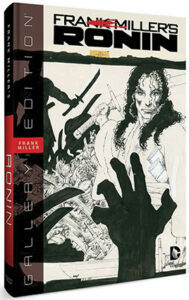 It’s an excellent resource into Miller’s production methods. 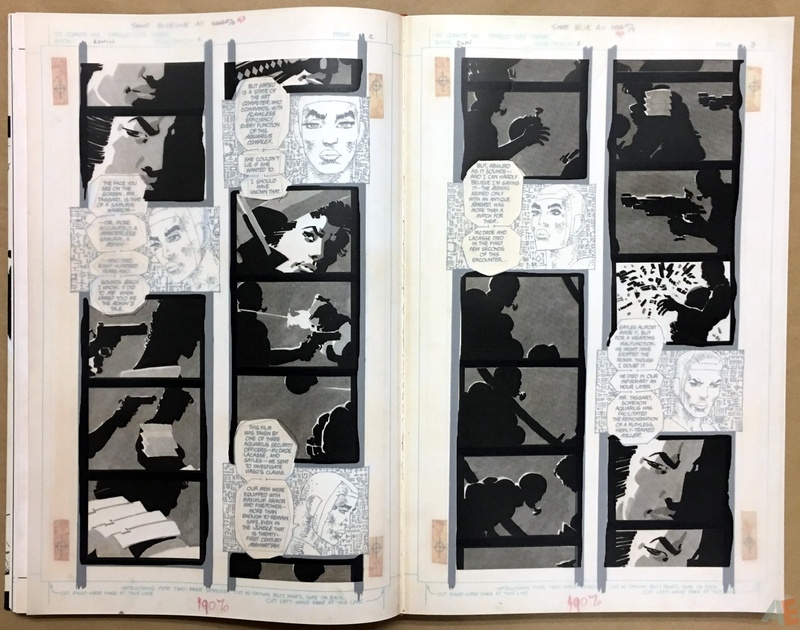 Copies of panels were used wherever they could, especially when he repeated an image with new captions. The organic portion of the story that takes place in Aquarius has very simple inking with no shading, relying on bright colours: unfortunately that doesn’t translate on the original artwork or in this story, but it doesn’t harm the overall reading experience. Production is outstanding. 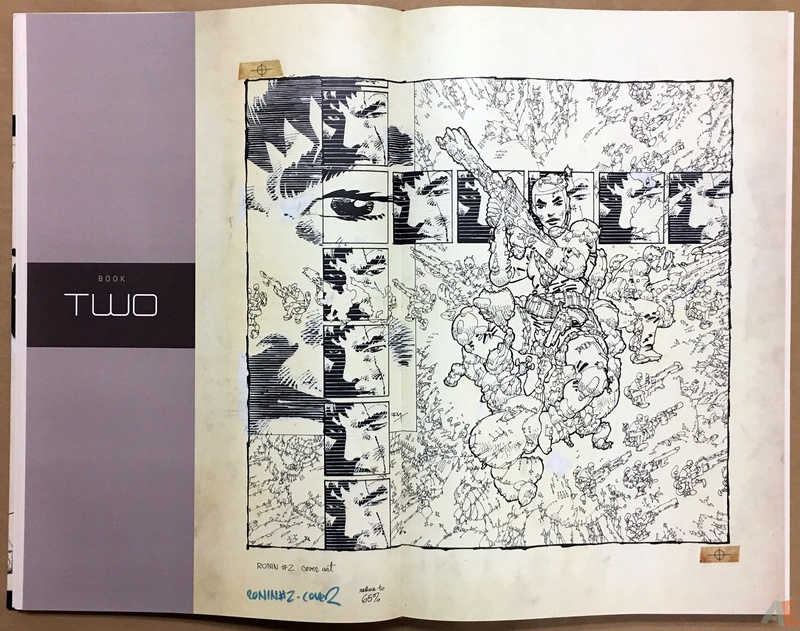 The book came shrinkwrapped in a cardboard case. 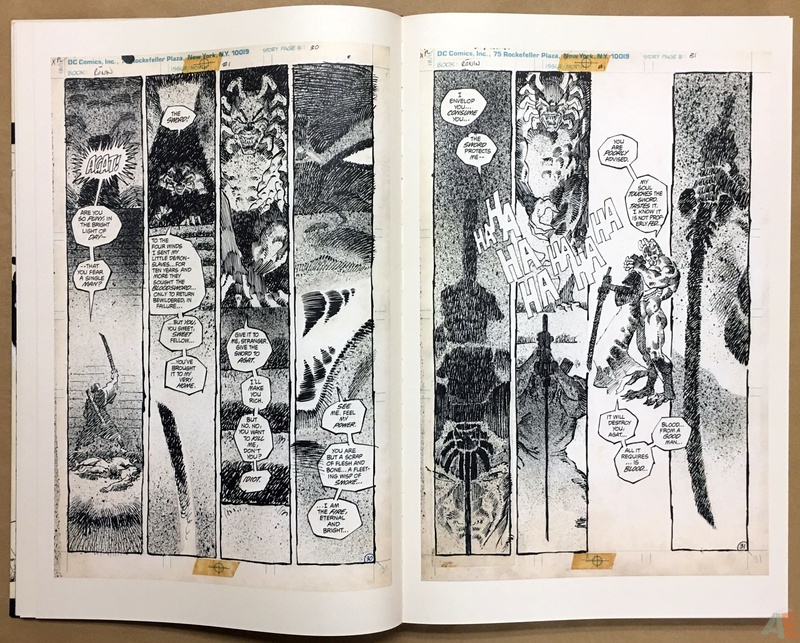 There is a significant attention to detail throughout, but items such as Miller’s vellum overlays shown above showcase that Bob Chapman wants to give the consumer the best product possible. 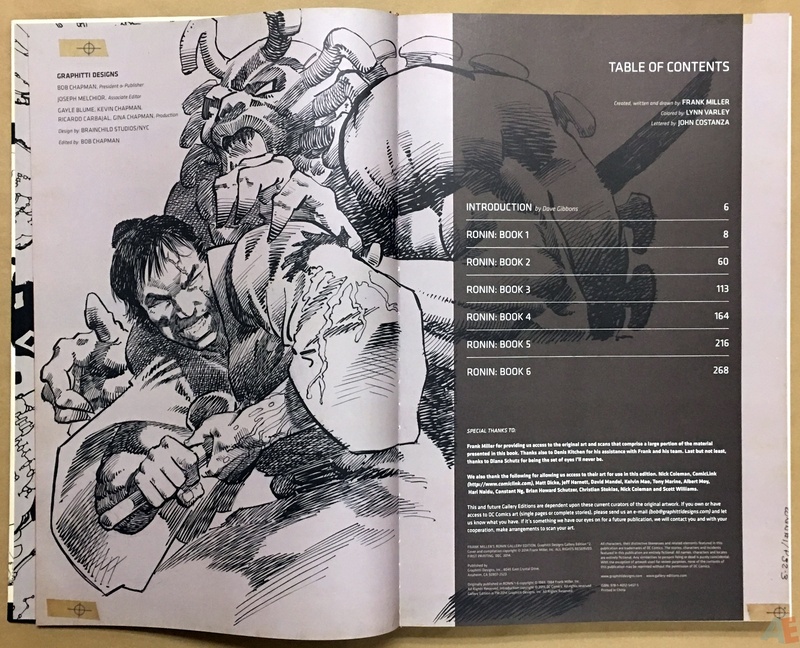 As well detailed notes on indices provide scanning notes, paper quality, and much more. 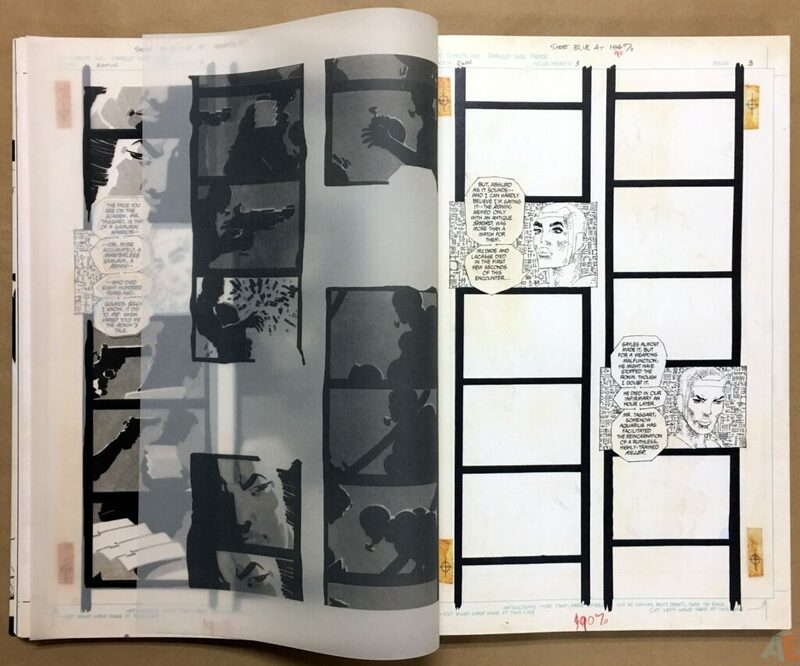 Binding is tighter than Batman: Kelley Jones Gallery Edition, with some pages not lying flat when opened and fewer threads visible in the gutters. 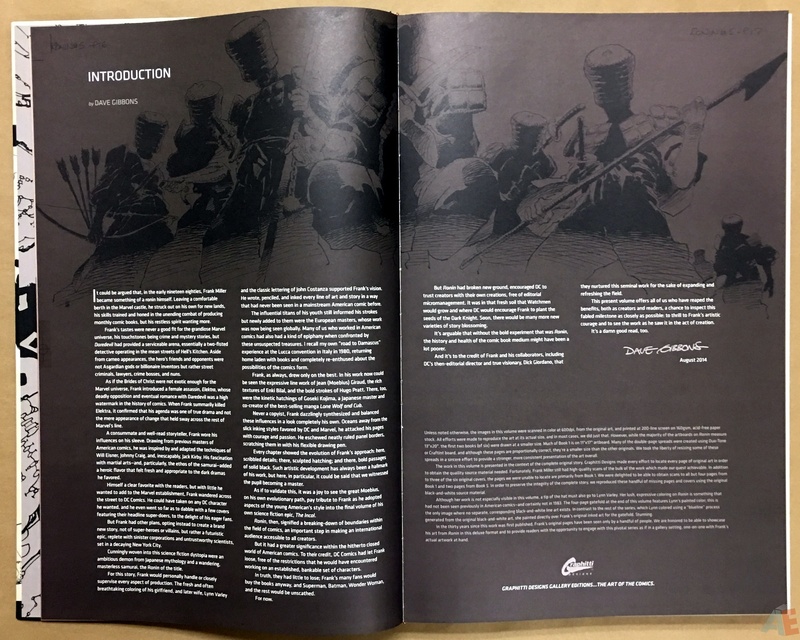 Design by Brainchild Studios is subdued but very effective. 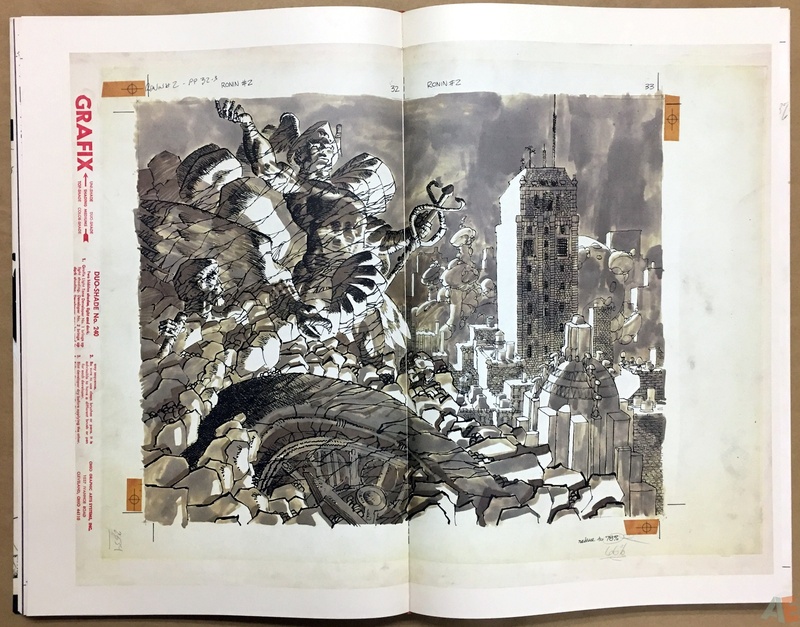 A brown palette with large panel images used for endpapers, table of contents and indicia pages. 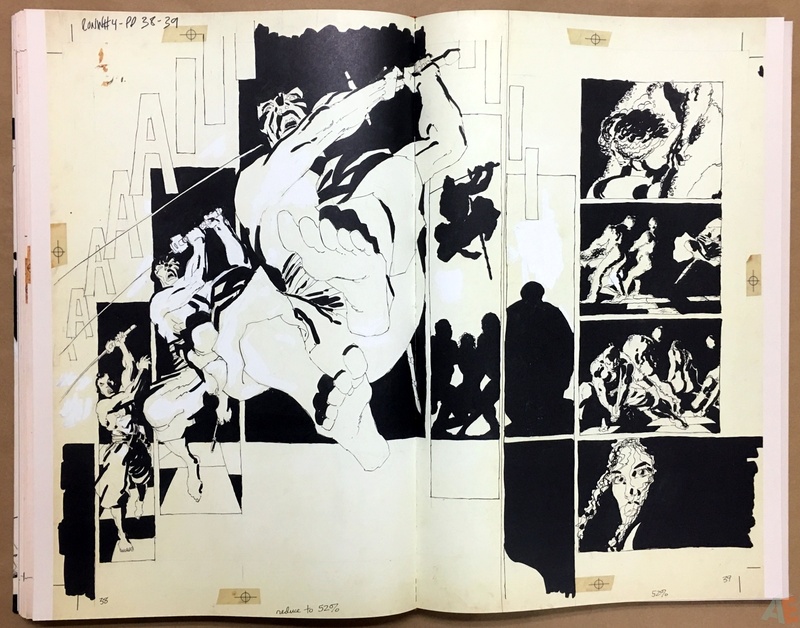 Chapter dividers are very simple as shown above. 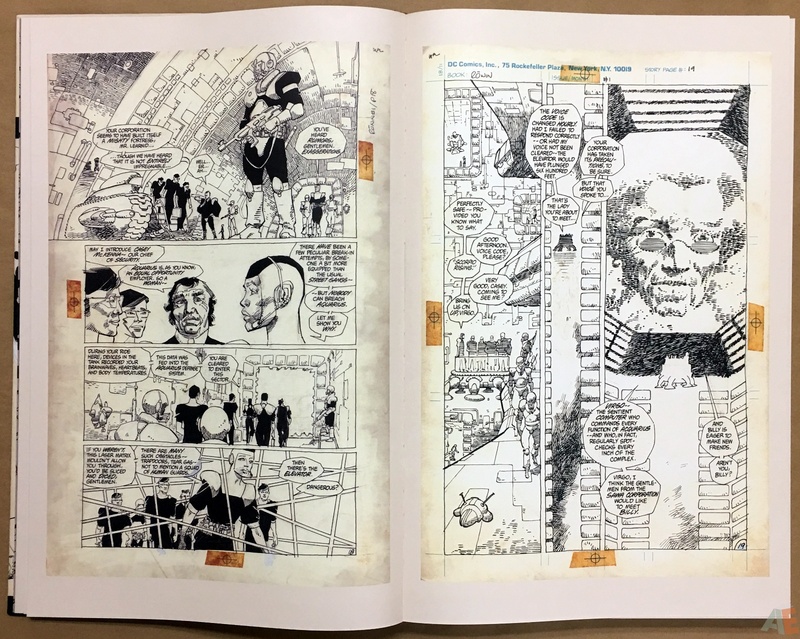 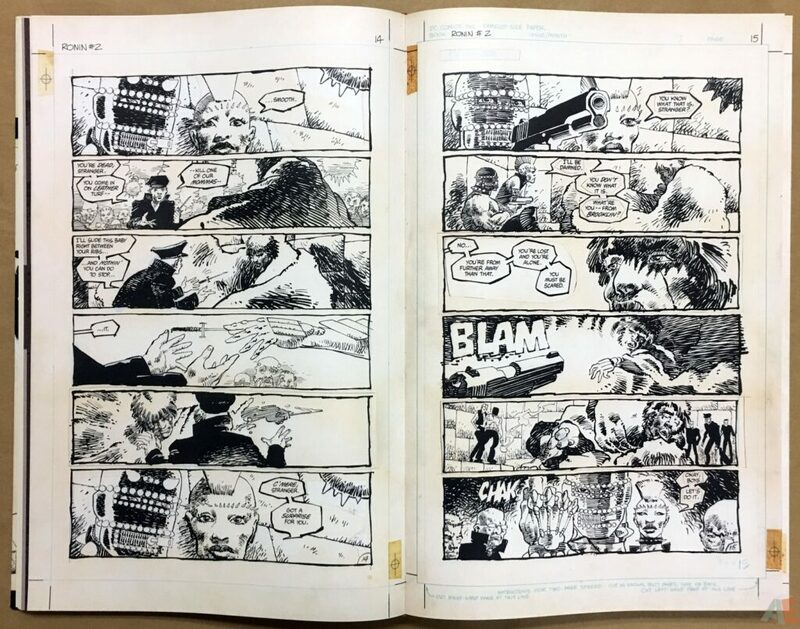 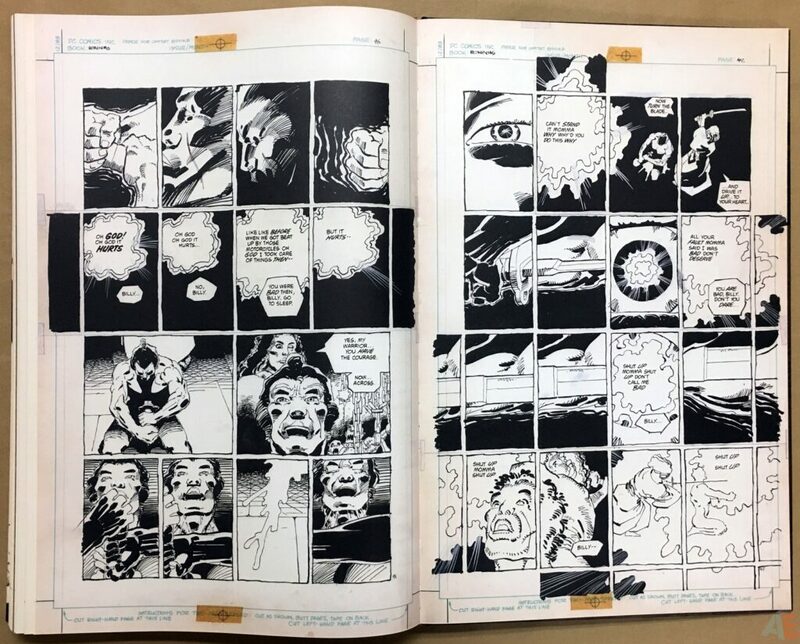 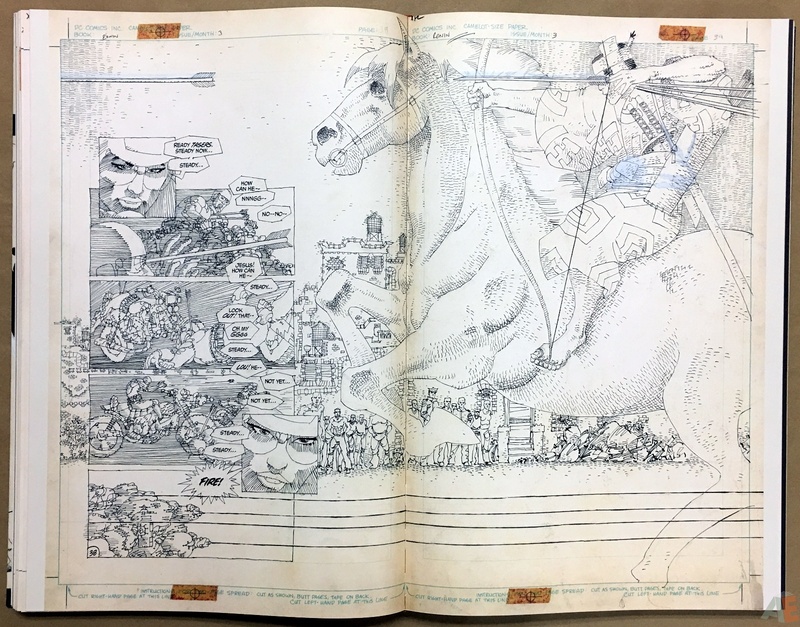 Extras include an introduction by Dave Gibbons, an early unused page from issue 1 and the cover to Anything Goes issue 2, and closes with a biography of Miller. 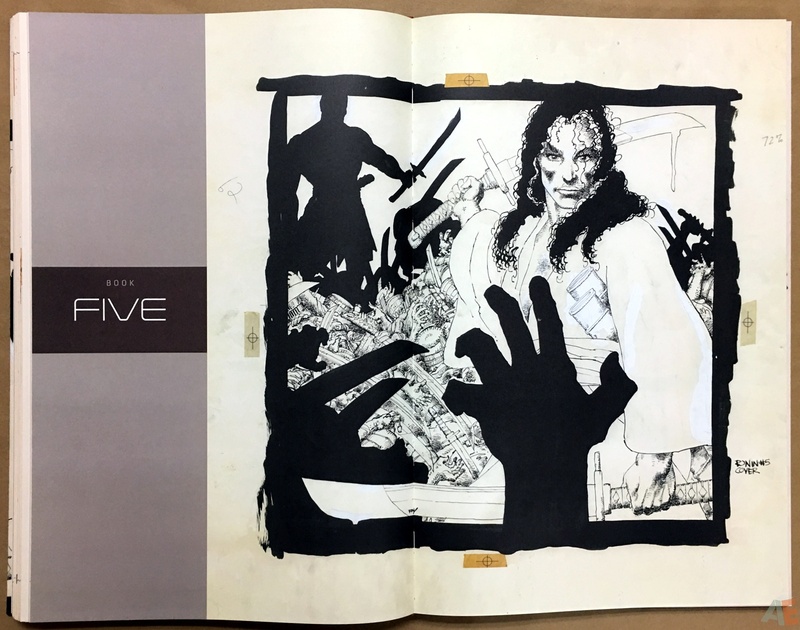 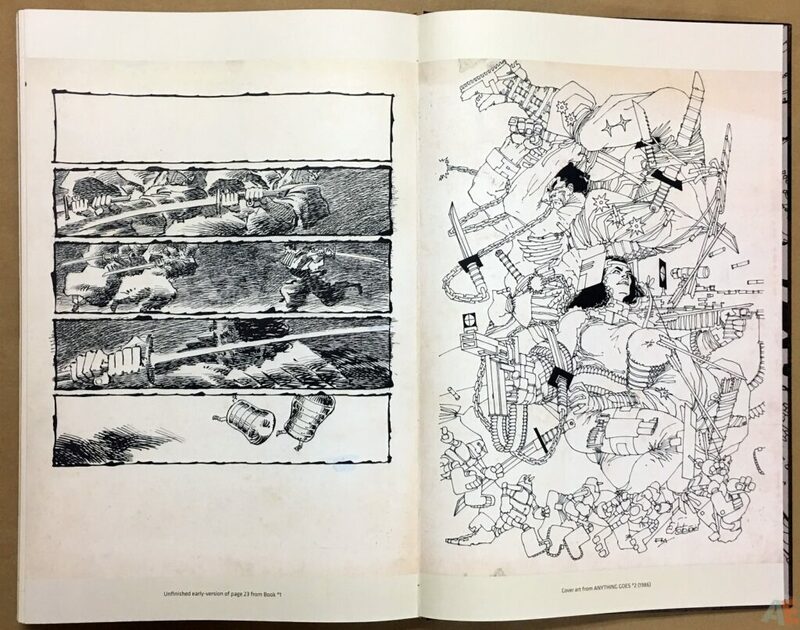 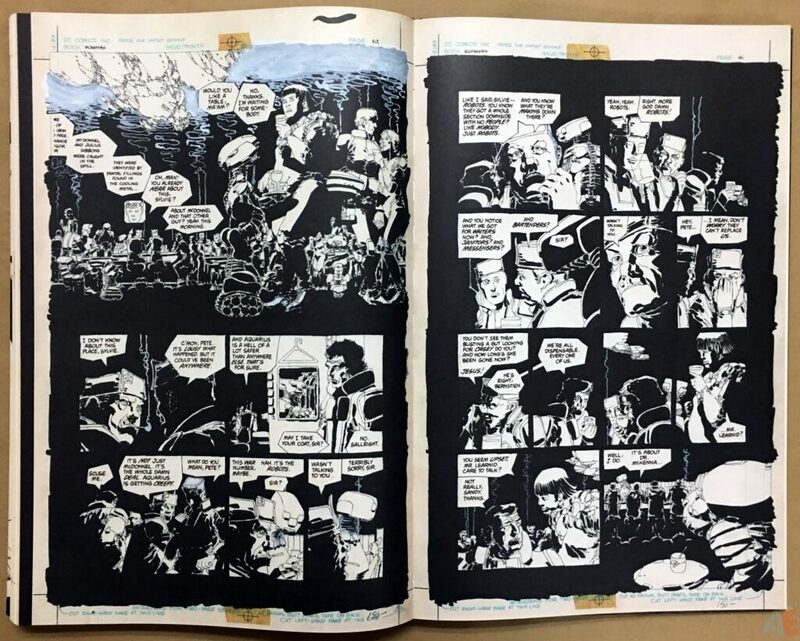 Frank Miller’s Ronin Gallery Edition has raised the bar and set a new standard for excellence in the field of original art editions.